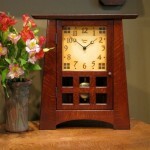 All clocks are custom-made to order for you. Every detail from hand-selecting the rough lumber to the finish waxing is done by me personally. 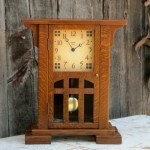 Most of the clocks have glass-covered faces and glass-sealed cases. 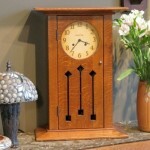 Most copper-face clocks are left uncovered by glass. 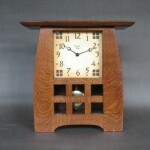 All clocks have a finished interior and backside as well as a removable door covering the back. 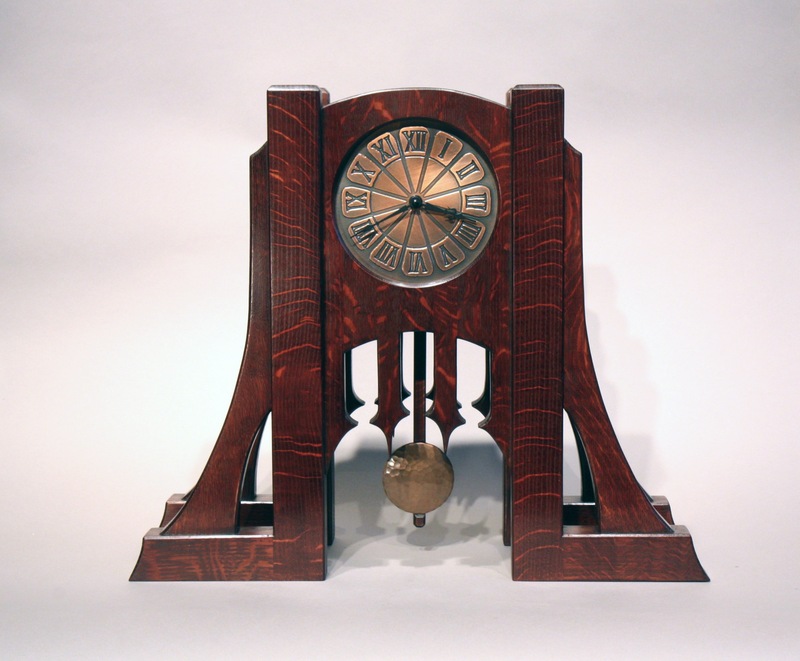 The clocks are signed, dated, numbered and cataloged. Click on the categories below to find your clock! The Bridge clocks are a brand new style of clock for 2016. 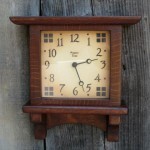 The category pages for these new clocks are under construction. They should be completed by February 15, 2016 prior to the Convention in North Carolina, where most of these clocks are headed. The tapered angled sides distinguish the Arroyo series. There are many variations on the theme of the Arroyo including the Arroyo Seco, Arroyo Arch and Arroyo Pendulum. The Prairie series features straight sides with clean simple lines evoking the feeling of the early century Prairie School of architecture. Drawing inspiration from the architecture of the early California missions the Mission series have a more old world rustic, but also a modern feel to them. The Buffalos are distinguished by the curved sides and a broad stance. The original Buffalo is one of my earliest designs and has evolved into many variations. Highlands come in many sizes but they all have the distinguishing features a book matched front with corbels supporting the overhang top and broad stepped feet to visually support the design. 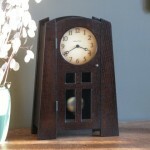 Various sizes and styles of wall clocks are available, from the original Highland wall clock to the new Trestle Arch.